This monograph treats, for the first time, major aspects of gas dynamics of nozzles from a general point of view. Its outstanding feature is the pre- sentation of the modern theory of gas flows and modern analytical and nu- merical methods, together with numerous examples of practical applications. At the same time, quite diverse physico-chemical processes, such as disso- ciation and recombination, relaxation of vibrational degrees of freedom, two-phase flows wi th phase trans formati ons and e 1 ectromagneti c i nf1 uences, are considered. 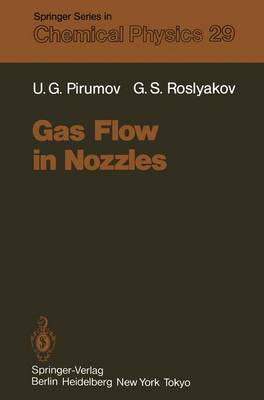 The material is presented in such a way as to help the reader to use numer- ous methods and approaches, not only for the study of gas flows in nozzles, but also for the investigation of a wide variety of problems of physical gas dynamics in different areas of application. The number of applications which may benefit from the use of the methods and results presented in this book is constantly growing. Theoretical, numerical and analytical methods of physical gas dynamics of internal flows may be, and are nowadays, ap- plied to solving the problem of preventing pollution of the air basin with toxic substances. These methods make it possible to describe the formation and transformation of toxic components in the vapour generators of thermal power plants, internal combustion engines and various metallurgical instal- lations. The methods of physical gas dynamics may be used in meteorology and powder metallurgy to create ultradispersed media and predict their proper- ties.